When you travel, have you ever thought that you have a couple hour layover, and yet when you are ready to depart you then found out that you actually have almost a whole day for a layover? On my way to Yangon (Myanmar), I had almost a 20 hour layover at Taipei, which at first I thought was only five hours. Mind you, I purchased the ticket a month before my trip, but of course forgot to verify the itinerary as the departure date grew nearer. Taipei 101 Observatory got my vote for my layover trip because of the accessibility and the location (it's in the middle of the city). 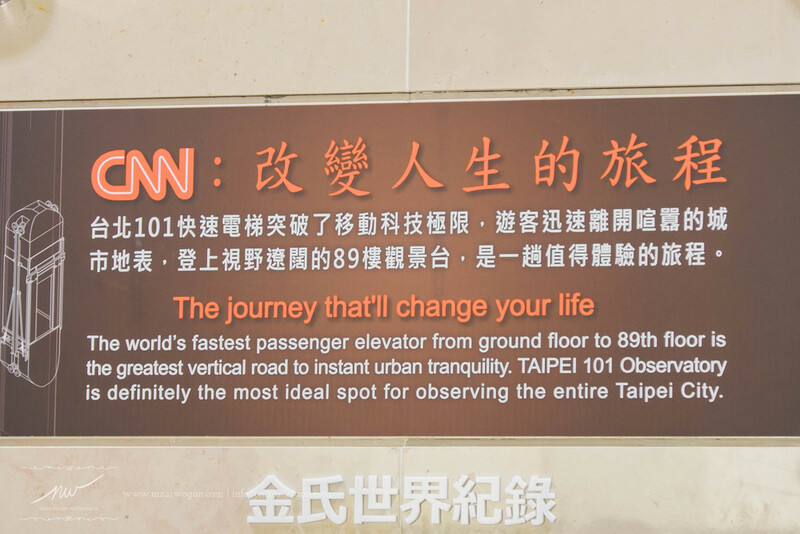 It took a little bit less than an hour from the Taoyuan Airport to the city center. It was a nice bus ride from the airport to the city center. It took a while to find the 101 Observatory as the mall is big. I paid NT$500 (around $16ish) for the entrance fee. It was a quite busy day, but the line to the top wasn't that bad. In only less than 40 seconds, the elevator took us up to the 89th floor. Now, as to the 89th floor itself. Well, it's ok. It's interesting. 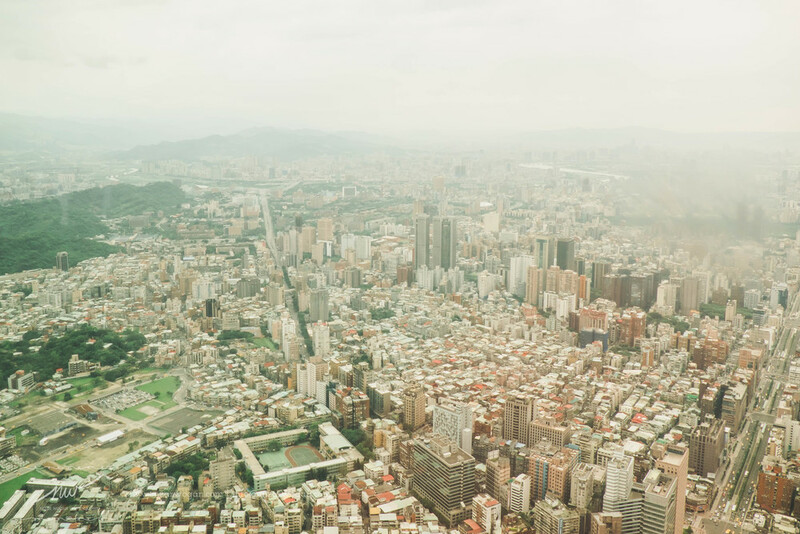 It's nice to be able to see the city of Taipei from above, although it was a little bit hazy. Is it worth it for me to pay $16? Yes, at that time. But do I want to come back and spend another $16? Umh, most likely not. Once is enough. Two hours later, I decided to take the elevator back. I grabbed a quick lunch, and a bubble tea of course, in the food court area inside the shopping mall. The mall has some interesting restaurant choices! Done with the lunch, I did LOTS of walking in the surrounding 101 Observatory area. I really enjoyed walking around the city zone. I mean, as a big city girl, I do miss so many things about big cities! I might have spent about ten hours in the city, returning to the airport around 9 p.m. I had a delicious dinner - plus with a bubble tea! Hey, you can't get enough of bubble tea, you know?! :), took a quick shower, prayed (two things I love about Taoyuan Airport are their shower rooms and prayer rooms), and slept until 5 a.m before getting ready for my flight to Yangon (Myanmar) at 7 in the morning. I hope to have another chance to explore Taipei again, and another part of Taiwan too! I took only FEW pictures while I was there as I had so many things to see that I forgot to take pictures. These pictures were taken with my travel camera, Fujifilm XT-1 that I bought for my Myanmar trip. I've been pretty happy with it by far.